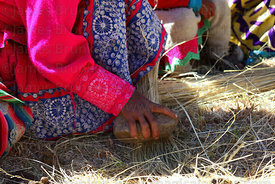 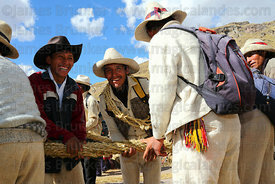 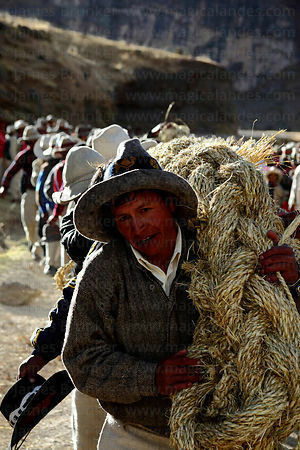 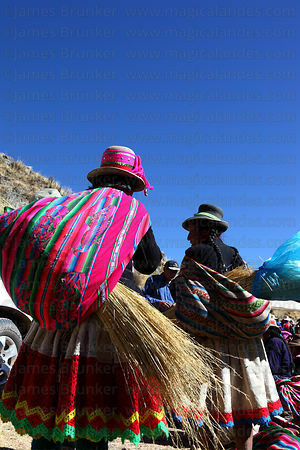 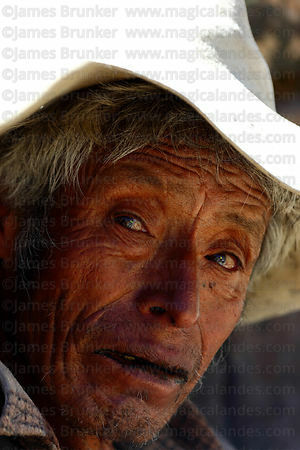 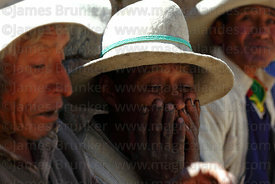 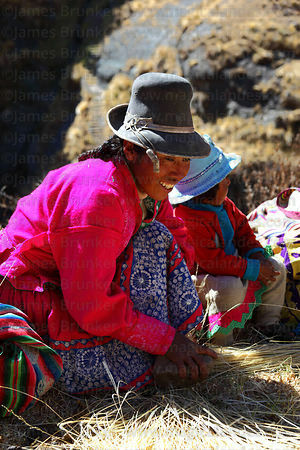 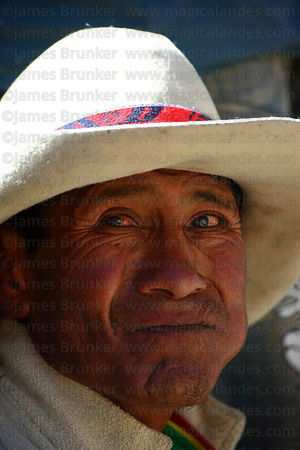 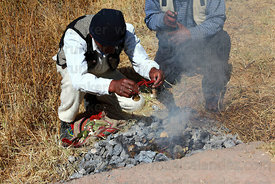 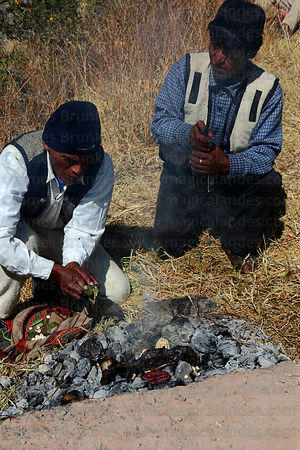 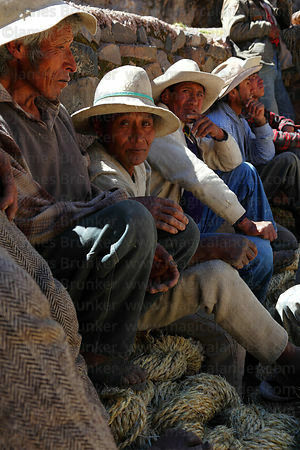 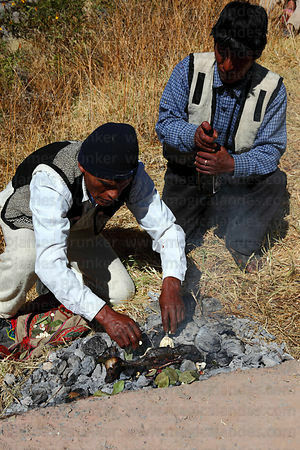 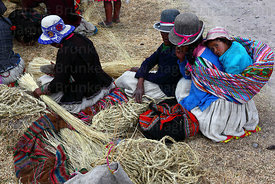 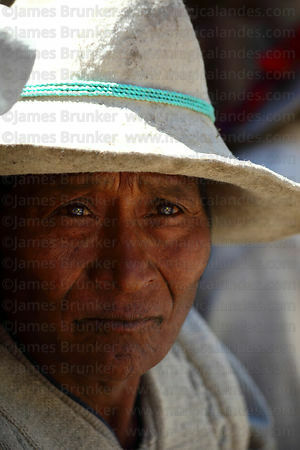 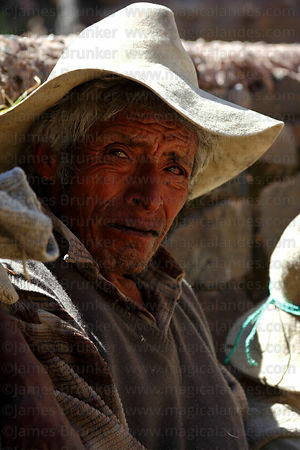 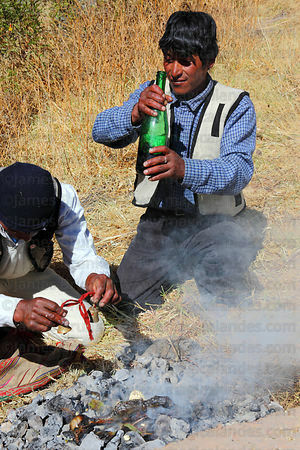 Photography from Bolivia, Chile, Peru and elsewhere in South America. 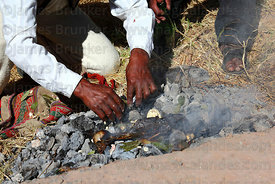 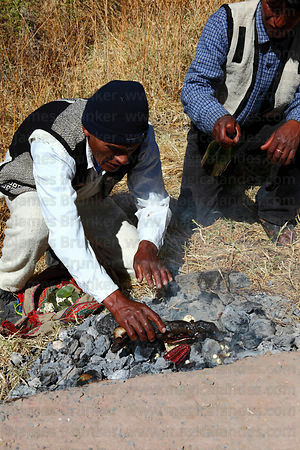 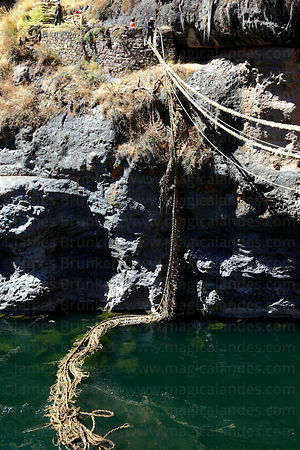 Many more images are available and in the process of being uploaded. 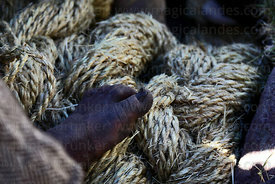 If you can't find the images you are looking for please get in touch, they may well be available in archives! 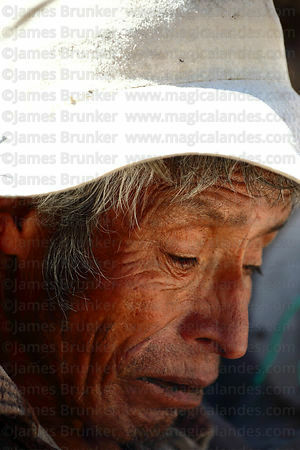 Rights Managed (RM) licencing options are available for all images. 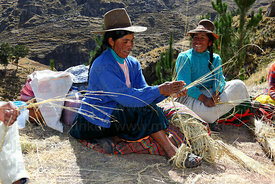 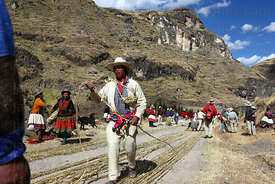 Peru is synonymous with the Incas, without doubt the best known of the empires that existed in South America. 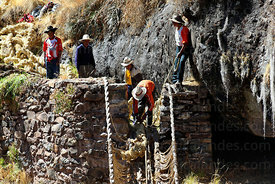 At its peak the Inca empire stretched from roughly what is now southern Colombia southwards to near Santiago in Chile. 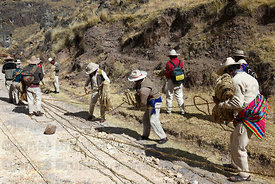 An extensive road network (some of it built by earlier civilisations) ran through the empire, at its peak it is estimated the total length of the network was nearly 25,000 miles / 40,000km. 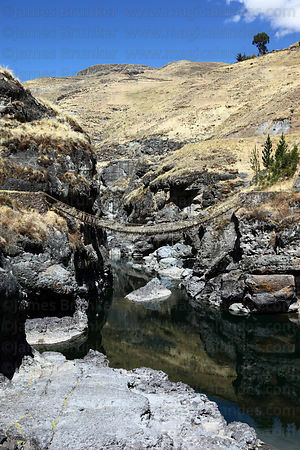 The most important road ran from Quito (now Ecuador) south through the Andes to Cusco (the Inca capital) and onwards into northern Argentina and was known as Qhapaq Ñan (Great Inca Road or Andean Highway, Camino Real or Royal Road in Spanish). 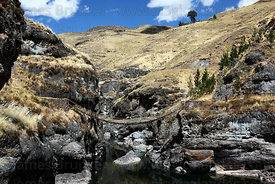 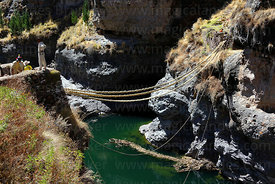 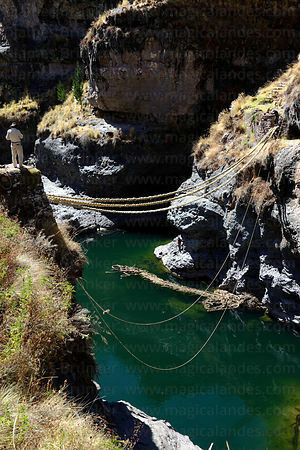 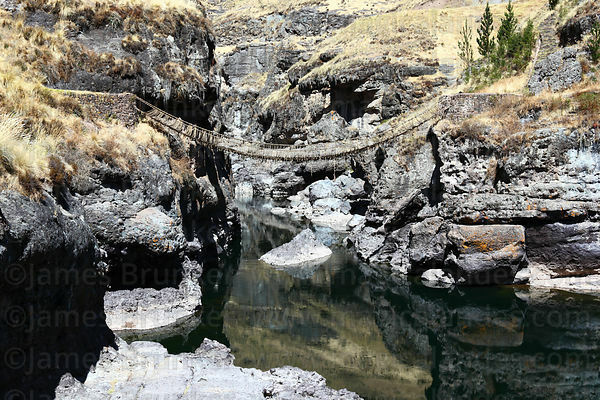 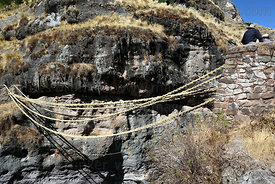 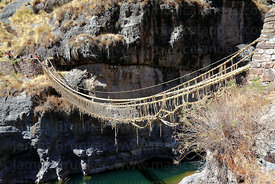 The last surviving Inca rope suspension bridge crosses the Apurimac River at Q'eswachaka / Q'eswachaca in Canas Province in the Cusco region. 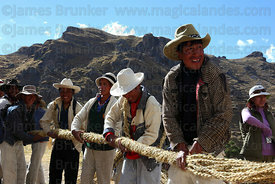 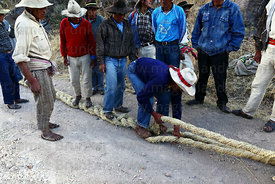 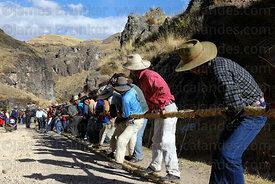 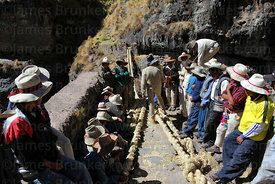 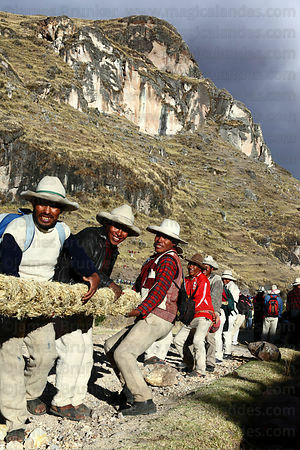 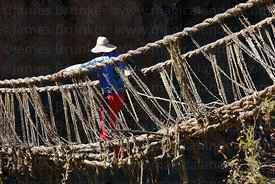 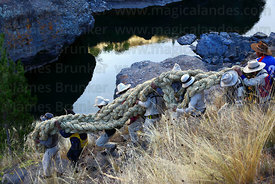 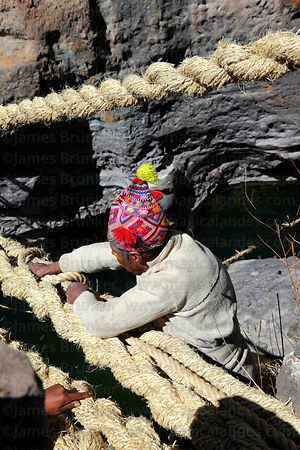 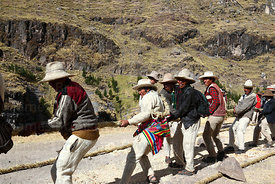 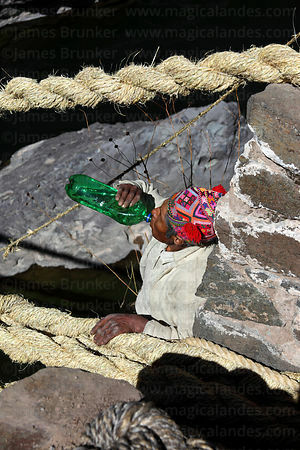 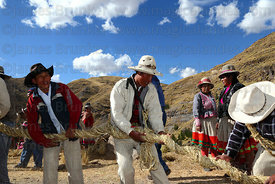 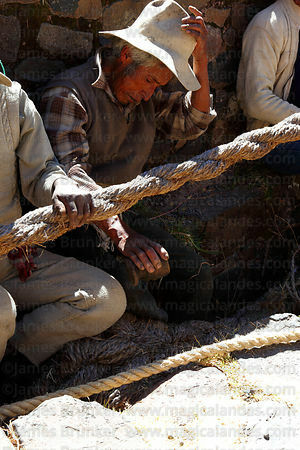 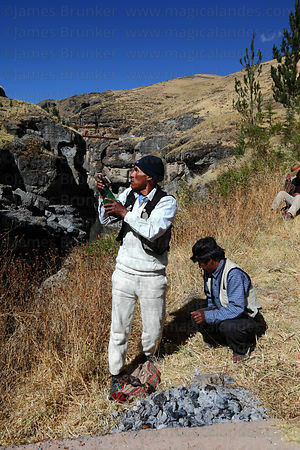 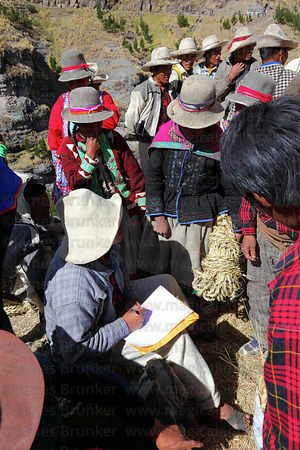 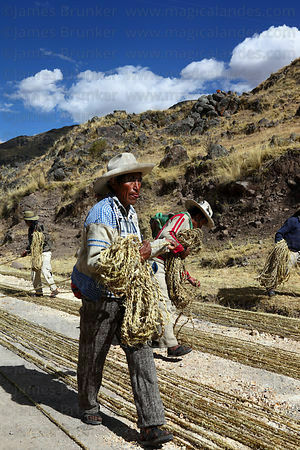 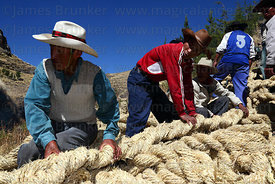 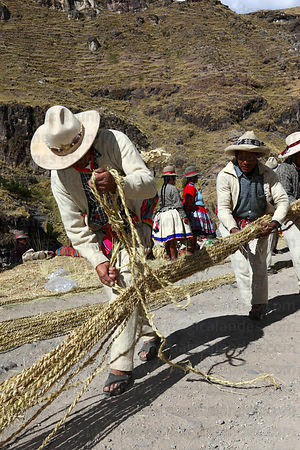 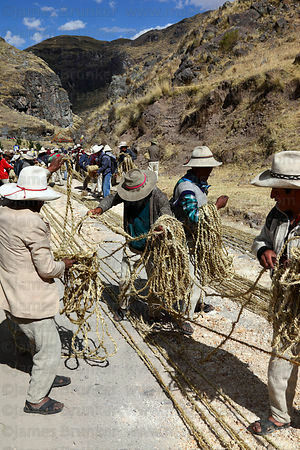 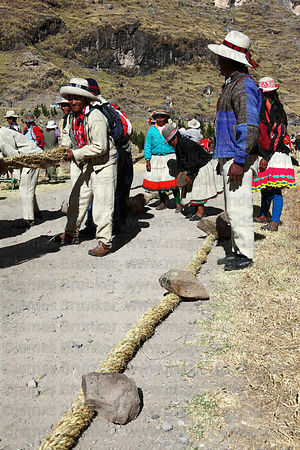 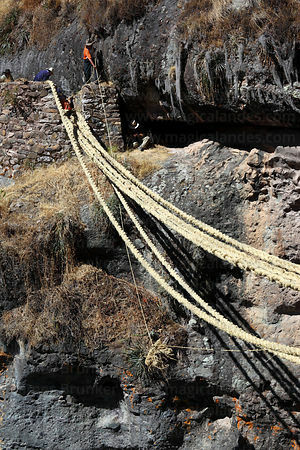 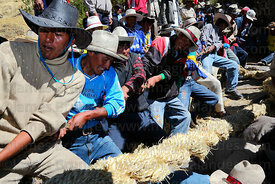 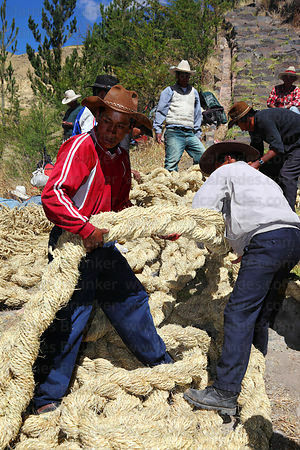 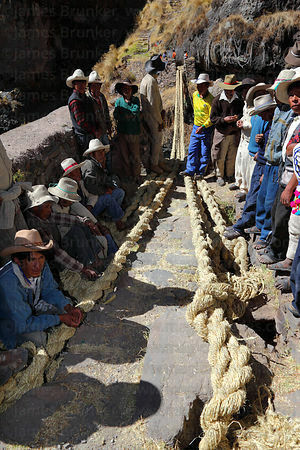 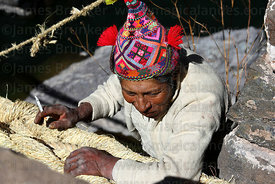 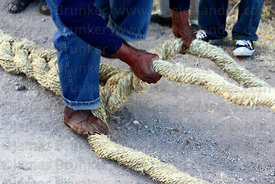 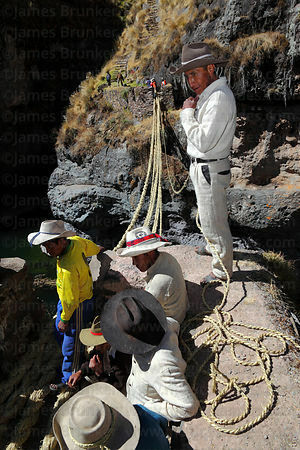 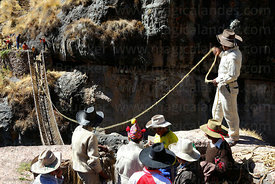 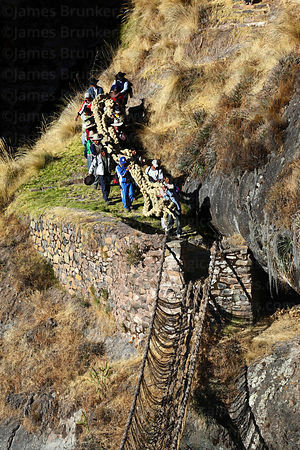 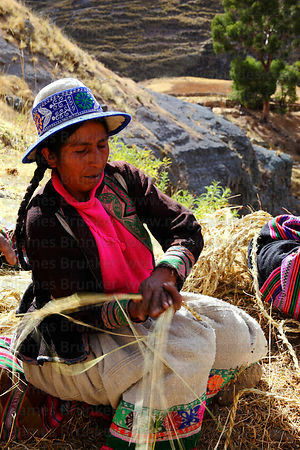 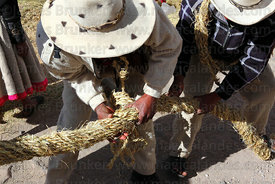 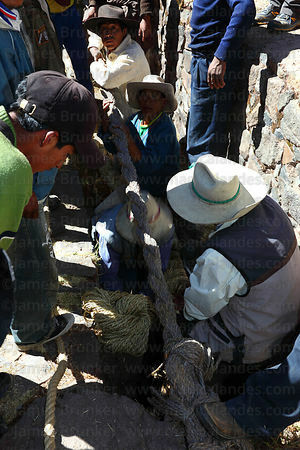 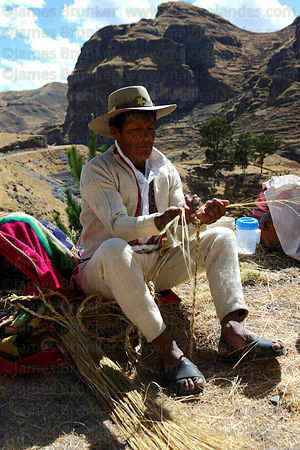 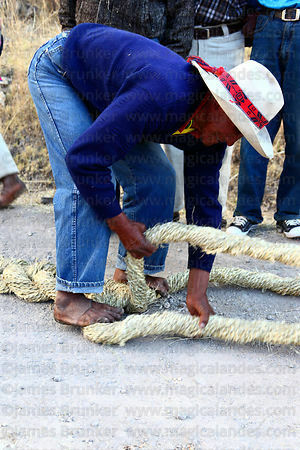 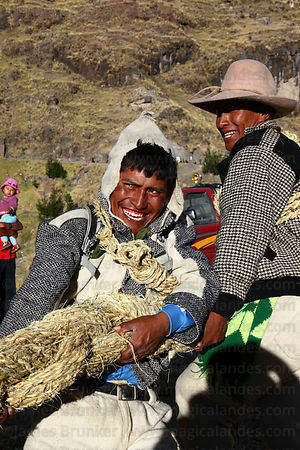 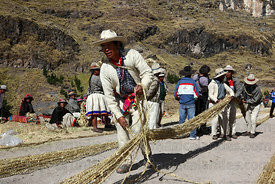 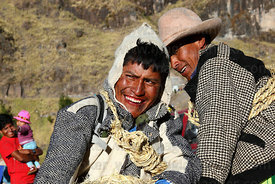 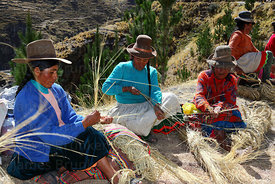 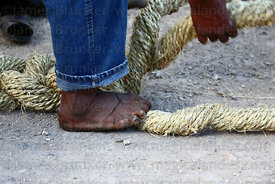 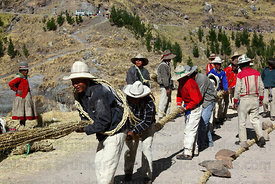 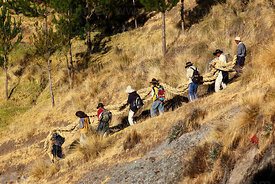 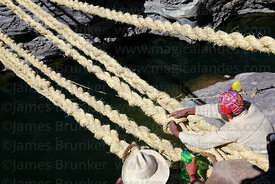 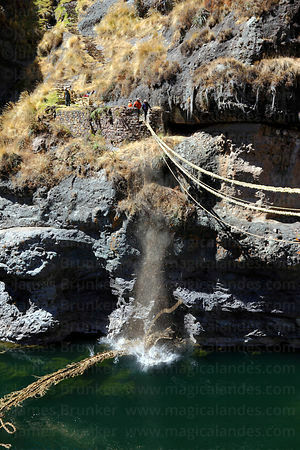 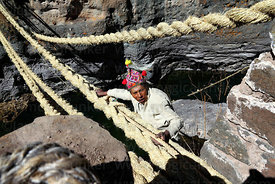 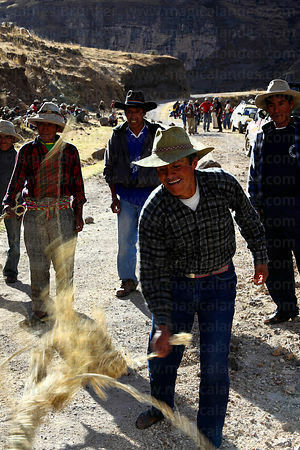 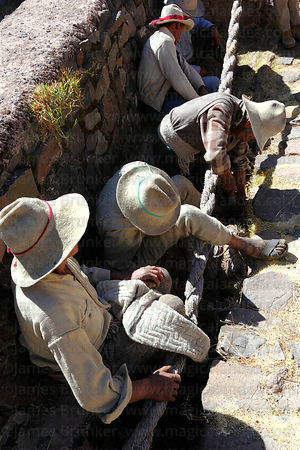 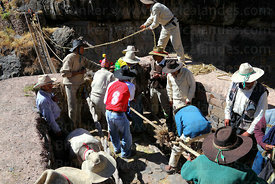 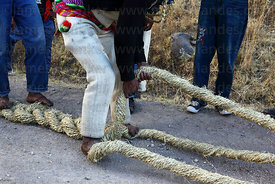 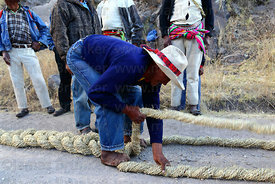 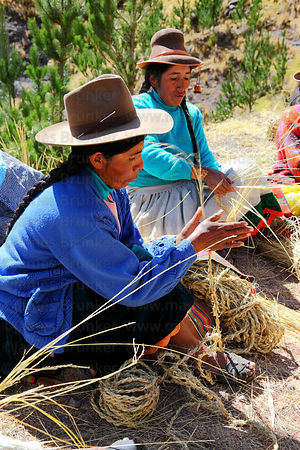 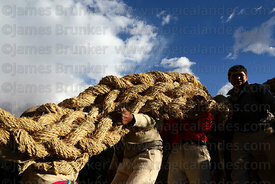 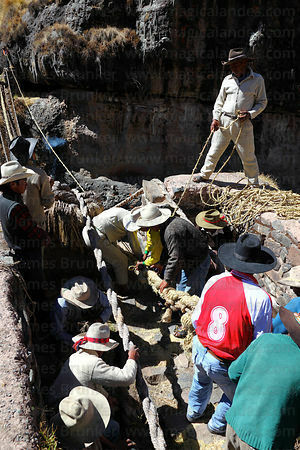 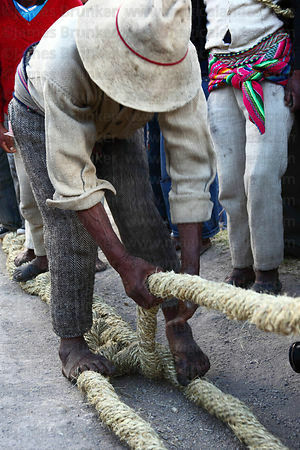 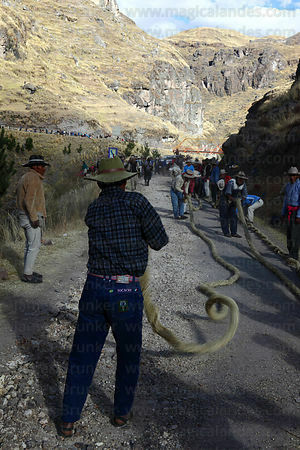 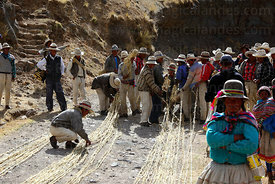 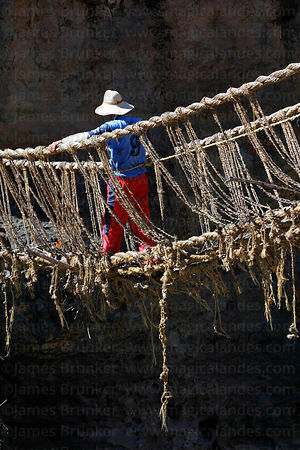 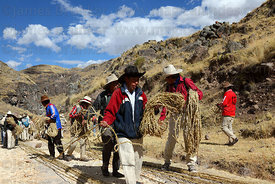 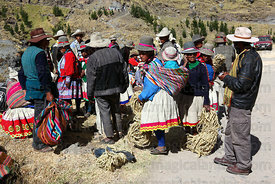 In a unique event that is a throwback to Inca times, villagers of the region rebuild the bridge every year by hand, starting by weaving new ropes from grass. 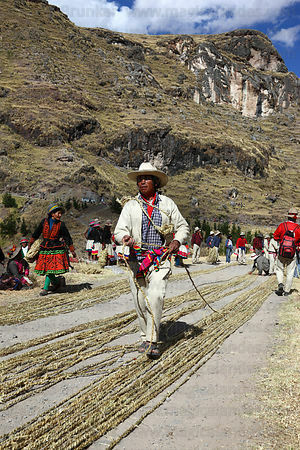 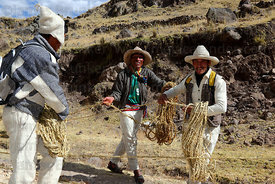 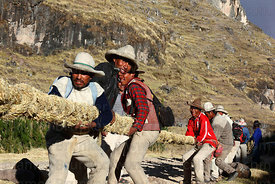 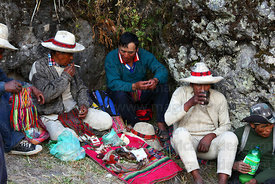 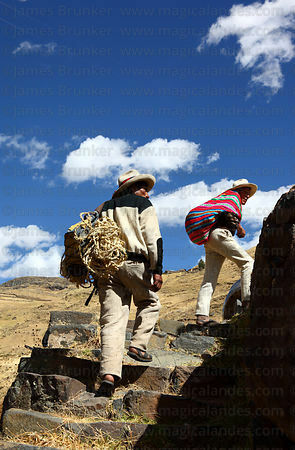 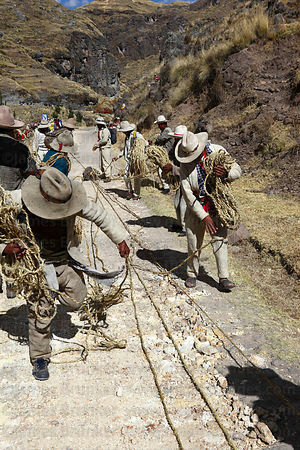 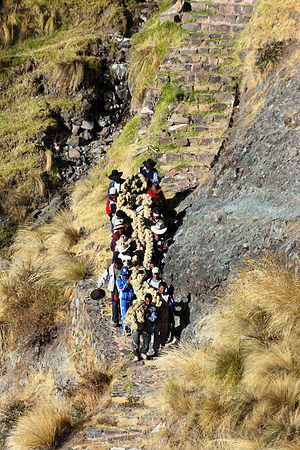 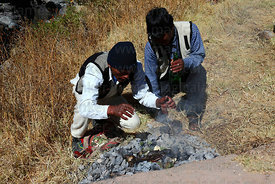 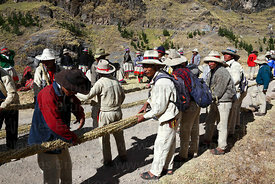 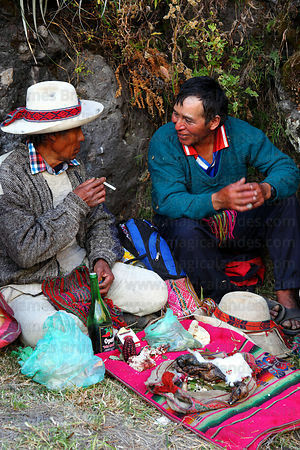 In Inca times maintaining the roads and bridges that connected the empire was part of a labour tax (or mita) that all communities had to perform as service to the Inca. 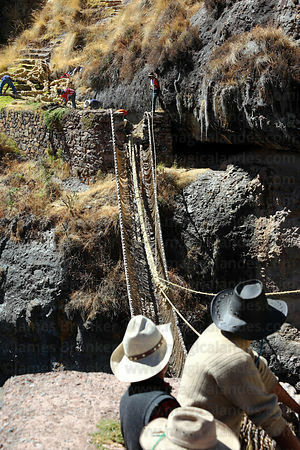 Rebuilding the bridge takes 3 days, when it is finished the local communities celebrate with a traditional dance festival.